Like many of the Internet giant’s endeavours, the objectives aren’t typical. 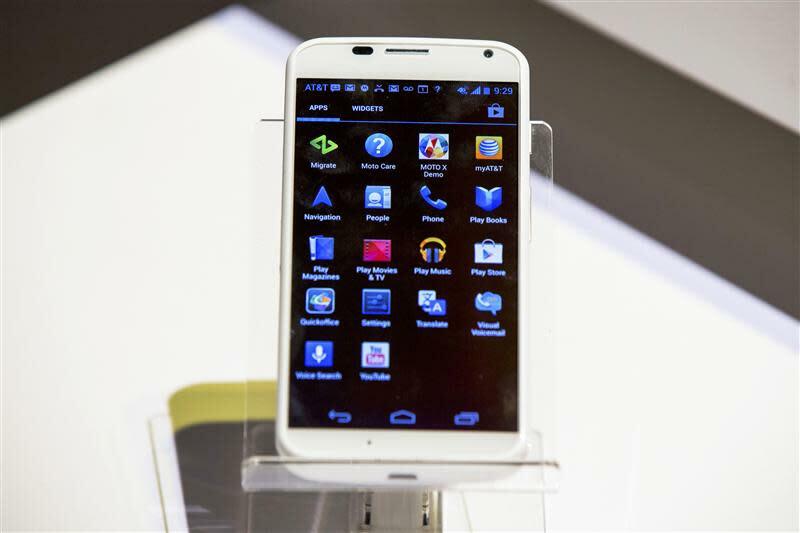 Motorola isn’t looking to grab big profits from the smartphone war, like Apple and Samsung do. Instead, the Moto X is intended to establish a franchise that will continually showcase the best products Google, through Motorola, can muster on the mobility front. The Moto X, which will be available through a host of carriers in the United States and exclusively through Rogers in August, looks and works much like any Android phone. Its main differentiating point is touchless control, with many intelligent-assistant functions activated through its user’s voice. During set-up, the user says the key phrase, “Okay, Google Now” three times, after which the phone will respond any time those trigger words are said. The Moto X can then initiate phone calls, do Web searches, create calendar appointments and so on. It’s like Apple’s Siri, although there’s no need to push a button to activate it. Theoretically, it’s ideal for use while driving, and it’s faster for performing certain functions, such as setting appointments. The advantage Motorola has over other Android manufacturers, according to senior vice-president of product management Rick Osterloh, is that it is able to closely integrate the hardware and software functions of its phones, similar to how Apple and BlackBerry do. A new core system was designed for the Moto X, for example, which allows it to continually listen for its user’s voice without sucking a lot of power. While the Google Now feature is available on other Android phones, the battery on such devices would be drained within two or three hours without that integreated approach. “It’s proof of hardware and software working better together,” he says. Motorola has also focused on trying to address specific user needs, rather than just adding a host of features for no real reason. One of those is a twisting motion that launches the camera app, along with the ability to focus and shoot by touching anywhere on the screen. The idea behind both functions is to allow users to quickly snap photos of moments that are often fleeting. The company has also retooled how notifications are shown. Rather than a blinking green light, specific icons show up on the home screen that detail exactly what the notification is; an envelope means an email has arrived, while a calendar page warns of a looming appointment. The specificity is designed to “alleviate the user’s stress” in wondering what their notifications are about, Osterloh says. Company executives feel there’s plenty of room for these sorts of small-but-important innovations to be made, meaning that the smartphone war has not yet been settled. Do consumers have smartphone fatigue? There is some evidence to the contrary, however. Consumers may indeed be starting to suffer from smarphone fatigue, with devices from Samsung, Nokia and BlackBerry all falling short of some expectations. Most consumers, at least in developed countries, have smartphones and are quite happy with them, so they’re holding off on getting new ones until they really have to. “The excitement around new releases is harder to build because people are used to the category now, and it's hard to outshine the competition on features people really care about,” says Kaan Yigit, president of Toronto-based tracking firm Solutions Research Group. Soni agrees to an extent, which is why Motorola is trying to take a different approach to smartphones – one that is based on problems that users are actually encountering.